Bull Smoke offers the best value for money vaping experience. It’s hard to beat the price of their starter kits, and if you’re on a budget, you’ll want to grab one of these. Some of their e-cigarette kits sell for as low as $29.95, which is roughly half the price of other brands. Few e-cigs offer as much choice in battery features as Bull Smoke. There are three types to choose from. I recommend the Kentucky Battery, which lasts a lot longer, as much as 50% more. Bull Smoke flavours are rich in taste and they offer a nice variety too. 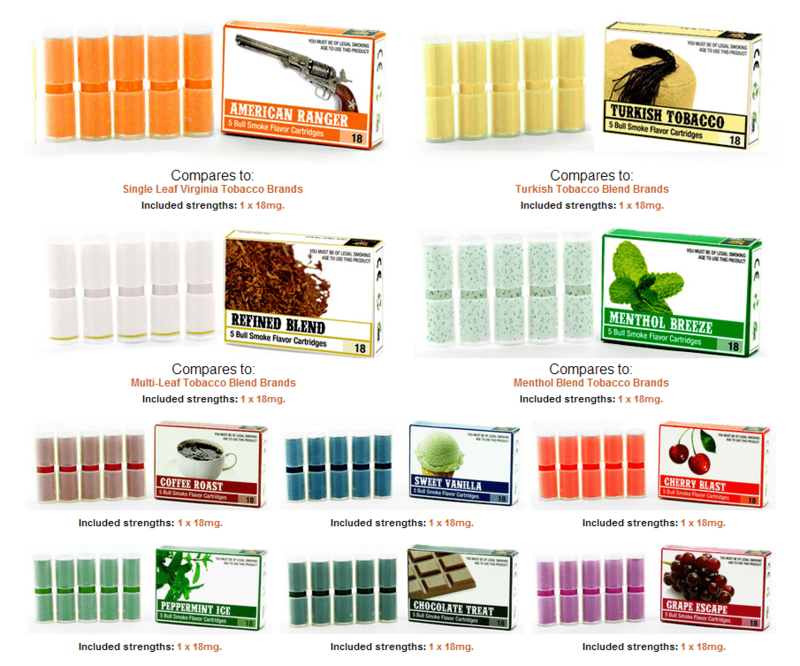 Flavors to choose from include several types of tobacco and a number of treats like vanilla, chocolate and coffee. If you are looking for flavors close to Camel and Winston, Bull Smoke is a good bet, and their American Ranger is a great tobacco flavor close to a Marlboro red. 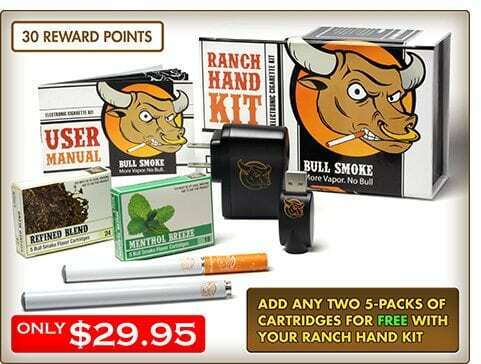 Bull Smoke also offers disposable e cigs, called Buckshot disposables. Each one represents two packs of regular cigarettes. You can enjoy as many as 450 puffs with each one before tossing it in the trash. Bull Smoke are literally a ‘No Bull’ brand, and have just what you need to get started, at the best price out there. They also have great support and take care of their customers. As a loyal customer, you get rewards in form of points which never expire. Ten percent of your order value is added to points until you have enough to buy something with them.